Telstra will expand on its existing LTE network with the addition of 4G services on the 900MHz frequency, improving the reach of the network into regional areas and opening the door for faster LTE-Advanced coverage. Currently, Telstra's 4G network operates on the 1800MHz frequency in capital cities and a number of rural hubs. Utilising the 900MHz band should help to expand the network, as lower frequency bands can be accessed over greater distances. This is the same strategy that has made Telstra's Next G network on the 850Mhz band so successful. This network upgrade also gives Telstra the option to introduce faster LTE-Advanced services where data is transmitted over both the 900- and 1800MHz frequencies simultaneously, again similar to the Next G network set up that sees 42Mbps speeds over 3G technology. These upgrades come on the back of Telstra's 4G network expansion over the past 18-months, and respond to strong uptake of smartphones and tablets and shifting data usage by the telco's 14.4-million subscribers. "More than half of all Australians now own a smartphone, up from 32% in 2010, and we're increasingly using them not just for work but for entertainment too","said Brendon Riley, Telstra's Chief Operations Officer, in a statement. So much so that the telco is predicting that its customers will use as much data this year as they have used in the past two year's combined. Telstra also revealed some of its demographic data today, revealing that men and women are equally likely to choosing a smartphone, with ownership across both sexes at 60%. Elderly Australians are also embracing mobilecomputing, with 36% of Telstra customers over 55 now packing a smartphone in their trouser pockets. 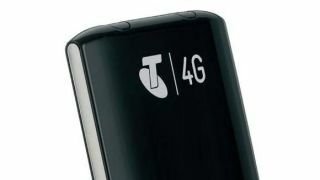 This news comes a day after rival telco Vodafone announced it had started testing its own 4G network in Sydney, ahead of a wider national launch later this year.